I’m thinking of getting a Alpine ILX 702 apple car play headset with rear camera installed.has anyone else upgraded there stereo system. I've got an Alpine CDE-178BT in the 996. Links to the iPhone via bluetooth for calls & music. It's also got a 64GB USB pen drive full of music in the glovebox which I've set to play on "random" so I haven't heard the same track twice all year. I don't need anything more fancy & it works really well. Very easy they live in front trunk opposite side to brake fluid holder, amp and DVD holder for sat nav. Depends. Personally I wouldn't be without a stereo as getting to circuits (particularly on the continent) and general road use can involve long motorway schleps at constant sensible speeds (sometimes GATSO alleys, sometimes gummed up with traffic). Same with cruise control. 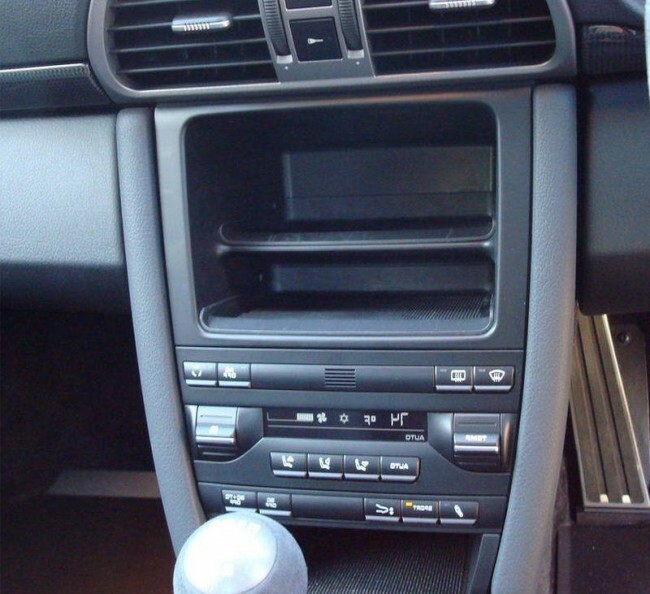 Im kidding of course but a “nice” stereo in a GT3 is kinda of difficult because its so noisy to begin with. The tyre roar alone will kill off most of any advantage of improved fidelity. As the noise floor rises the dynamic range decreases and unless you have some absolute mega watts in there it will be very tough to improve on standard . Gen2 cars had “sound pack” or something which helped but it has to be really loud to notice. Roro, 100% agree with your thoughts.. loving this mod myself. Blanking out any unwanted distractions is always a good thing; gives you time to concentrate on the important things without the fluff. PS - on the flip though I love my daily Rangie disco bus!